A guide to what's on offer, following February's BBC, ITV and C4 losses. Direct from the broadcaster, ITV Essentials is targeted at British Expats who want to keep up with Coronation Street, Emmerdale, The Only Way Is Essex and Loose Women, on the same day they are broadcast in the UK. Available as an ongoing subscription of £5.49 /month or a £5.49 30-day pass (payable in Euros), ITV Essentials can be viewed in Austria, Belgium, France, Greece, Gibraltar, Italy, Luxembourg, The Netherlands, Portugal, Slovenia, Slovakia and Spain. Apps for iPhone and iPad need to be downloaded from the App Store, or you can watch on your computer. Run by ITV and completely legal to use. Catch up on the same day of UK broadcast. Limited to 12 European countries. No Android or Windows Phone apps. Can run on an iPhone, iPad, Mac or PC. Attach an HDMI cable to your PC/Mac to view on your TV. It's not clear whether the iOS app blocks video output to an external device, as with the Sky Go's iOS app. A Mac or PC needs to have Microsoft Silverlight installed. You may already have this if you use Sky Go. Does not work over 3G/4G. Global iPlayer, the international version of its iPlayer, has failed to live up to the BBC's expectations and is to close. For the moment, it is still available, with a monthly fee of €6.99 euros. BBC Worldwide, the division charged with selling BBC content internationally, plans to phase out the service. In order to view Global iPlayer, an app must first be downloaded from the iTunes store in one of the countries in the trial. These are Austria, Belgium, Denmark, Finland, France, Germany, Ireland, Italy, Luxembourg , Netherlands, Portugal, Spain, Sweden and Switzerland. iTunes needs a registered payment card from a bank in the country of residence to download the app and pay the subscription. Provided directly by the BBC. Completely legal. 2000 hours on offer each week of mostly archive material, such as Doctor Who, Michael Palin's Himalaya and Only Fools and Horses, plus a mix of current comedy and factual programming. Global iPlayer offers no live TV, no catch-up of popular shows, no sport and no radio. Limited number of countries, for rights reasons. Needs a payment card in the country of residence. Cannot be downloaded from the UK iTunes store. Runs on an iPhone or iPad. THE BBC Entertainment channel is available for £138 annually on subscription throughout Europe on Eurobird 9 at 9º east. Provided directly by the BBC. Completely legal. Very similar to Global iPlayer. Light entertainment, mostly from the archives. No news or documentaries. BBC Entertainment is the successor the the widely-derided BBC Prime, which closed in 2009. Needs a smartcard, a Viaccess-compatible receiver with a Conditional Access Module (CAM) and a dish pointing to the right satellite, which needs expert installation or good DIY skills. A data sheet is available, as well as an application form. VPNs are commonly used by large businesses and education institutions, to enable remote working and access to an intranet. They can be used to avoid geo-blocking. Skype, Voip (Voice Over Internet) and Facebook are blocked in some countries, and BBC iPlayer is blocked in all apart from Britain. Legal under UK copyright law, provided the VPN was not set up specifically to avoid geo-blocking. If you choose a UK VPN server, you get UK versions of websites, such as BBC iPlayer. Uses up your ISP's monthly data allowance. Some services are slow, particularly at peak times. The PPTP protocol is insecure. Some VPNs insist on installing special software on your PC. Often based offshore or in countries outside the EU. Most VPN services run affilate programs. (a link on a review site or forum contains a cookie which enables the person to be paid for recommending the VPN). A VPN establishes a secure, encrypted link between your device and a server, which can be in any country. It goes over your normal internet connection. Larger VPNs offer a choice of end points in many countries. iPhone, iPad, Macs, PCs, Android smartphones and tablets have VPN software built in, usually in "Settings" or "Network". Some VPNs use Open VPN and need special software. A few providers offer a SmartBox or VPN router, which can come pre-configured, with WiFi. Most have DD-WRT third-party firmware. Connect a VPN-enabled iPad, PC or Mac to a TV set to watch live TV from the UK. Smart DNS is often offered as an alternative to using a VPN. It works in a similar way, without the speed loss suffered by most VPNs. You have to modify the DNS settings on your computer, smartphone or router. You can get UK versions of websites, such as BBC iPlayer. No speed loss. Uses up your ISP's monthly data allowance. Modifying DNS requires IT skills. Smart DNS servers need to match your IP address to your account. If your IP changes and you don't update it, internet access is blocked. A dynamic IP address may change every couple of days. Many internet users are allocated a dynamic IP address by their ISP. ISPs such as Telefónica charge extra for a static IP. If you stop using a Smart DNS service and forget to remove the DNS settings, all internet services on your device will cease if you connect to a WiFi repeater or cable router with its DHCP server turned off. All Smart DNS services use affilate programs, links on websites or forums which set cookies, enabling the person to be paid for recommending the service. Such is the number of affiliates on the web, it's almost impossible to find an impartial guide to Smart DNS. You modify the DNS settings on your device. DNS settings are usually a set of number separated by full stops. Smart DNS ensures a page request is sent via the Smart DNS server, so that a website registers that you are in another country. There are SmartDNS and anonymity plug-ins for the Firefox browser. FilmOn's founder, US-based Greek billionaire Alki David, has the distinction of being sued by more TV networks than anyone else. FilmOn carries live, unlicensed streams of BBC and ITV channels with pre-roll advertising and a very prominent logo. Many networks whose channels FilmOn re-broadcasts have been trying to close it down since its inception in 2006. It's free and available everywhere. Recording available (with subscription). Keeps a large number of Intellectual Property lawyers in gainful employment. Uses up your ISP's monthly data allowance. The free version has abysmal sound and picture quality. The paid-for high definition stream for £9.95 a month is better, but still inferior to iPlayer's standard definition, and with poor sound. Popular channels such as BBC, ITV and C4 may disappear without warning if UK broadcasters succeed in legal action. The BBC in particular strongly objects to its channels being copied with pre-roll advertising and invariably issues takedown notices. Keeps a large number of Intellectual Property lawyers in gainful employment. Can run on a PC, laptop or tablet. Many people view FilmOn on a TV with an HDMI cable. An alternative satellite carrying most UK channels, broadcast from Intelsat 907 at 27.5º west. Needs a Free-to-air non-Sky receiver capable of high symbol rates, and a dish pointing west. An internal feed run by Arqiva, it is used to distribute Freeview to TV transmitter masts in Britain and is not for public use. Protected by BISS codes, changed regularly. It's free and available everywhere with the right equipment. Unlicensed. The codes may change in days, weeks or months, in which case all channels disappear. New codes are usually posted on the internet after about two weeks by hackers. These have to be entered into the receiver to decode the channels once more. Arqiva know their system is being pirated and may soon take more effective countermeasures. Selling the equipment is a criminal offence. Installers offer a box, new dish and a "re-tune" for up to €500 euros. 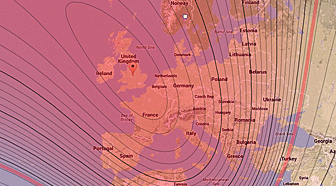 Works like a normal satellite system, but cannot access the Sky Guide, Sky channels or any Sky service. (See our 13 Feb story). 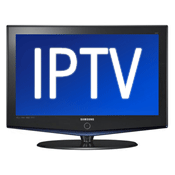 IPTV services are fed from receivers located within range of UK TV broadcasts, which are then re-encoded and made available worldwide, over the internet. Typically using a Mag250 box, the system comes with a remote control like a normal satellite receiver, but uses your internet connection. The boxes cost between €100 and €300 euros with a monthly subscription between €18-€30 euros. Needs a minimum broadband speed of around 2 Mbps. Most offer UK free channels, such as BBC, ITV, C4 and C5. Some offer pirated Sky Sports and Movies. Most installers in Spain and Portugal offer IPTV. Readily-available substitute for lost BBC and ITV channels. You get a regular set-top box with a remote control, a 14-day programme guide and 7-day catchup. One IPTV server has been traced to Odessa, Ukraine, which may shortly become a war zone. Uses up your ISP's monthly data allowance. All IPTV systems are unlicensed and show the main UK channels without the broadcasters' permission. Picture quality is reputed to be poor in some cases but otherwise acceptable. High upfront cost. One service, currently re-sold by around 50 dealers in Spain, was the original source of the rumour that after the Astra 2E change, the BBC and ITV "would disappear from the Sky platform...none of these channels will physically reach Europe mainland via Satellite." UK networks have successfully taken legal action against re-broadcasters TVCatchup and Zattoo. The European Court made a landmark ruling on live TV streaming last year. An IPTV box plugs into your existing router and connects to TV over the internet. It is connected to your TV with an HDMI cable. Unlicensed rebroadcast of UK channels, from transmission masts on high points around the coast, centred around Marbella, re-sold through a network of dealers in Spain and Portugal. Uses 60 cm dishes and dedicated receiver. Often installed in community systems. The companies unconvincingly claim to be licensed and to pay copyright. Whilst there's no suggestion the same people are involved, anyone thinking of subscribing ought to read this about illegal re-broadcasters. A substitute for lost UK channels. Illegal and unlicensed, which many customers are unaware of. Requires a new dish, box and installation. Prices not published, but are likely to include an installation fee and ongoing monthly cost. Some systems carry pirated Sky pay-TV channels, increasing the risk of attention from law enforcement. A receiver with Conax decoding is used to decrypt microwave TV transmissions from masts on hilltops around the coasts of Spain and Portugal. Only works with a clear line of sight to the transmitter. Rumoured to exist in other territories with large expat communities.